We’re moving at a fixed velocity through space, and we’re moving on a determined path. There are two “pathways”, one light and one dark, one natural and one in opposition to nature; one leading to progressive evolution and the other to retrograde evolution. The name of the path of Light is: “stay put” or, “hold on tight” (cling fast to those things which you have and I shall give unto you the Morning Star just as my Father gave it to me). But most of mankind is not privy to the whole of revealed doctrine, they are oblivious of the energy/life/time producing Core and as such they are in no position to make a choice, rather, the choice will be made for them by corrupt beings who encourage apostasy! Consequently many people will embrace outer darkness and some may eventually be biologically adapted to live in darkness instead of Light. There are many recorded instances of visits by Angels to our Earth, as well as visits by more sinister beings, called at times, demonic, at others, fallen angels. The Angels and the demons have, at one time, all been people just like us. The time-frame in which a being lives, defines what the being is. Only through an understanding of Time and how Time affects evolutionary development can one come to understand the existence of both angelic and demonic people. Soon mankind will learn of another time-frame and it will be presented as being indescribably wonderful but regardless of how wonderful it may at first appear to be, its end is darkest misery. To experience another time-frame is not allowed to us. We are protected from the inevitable, terrible, consequences of living in another time-frame by our covenant with God. Through Abraham, and David, and Jesus, and many others, we are covenanted “contracted” to remain in the “Genesis” time-frame (genetic time-frame) that was especially established for us by God when He created us. God commands His creations NOT to eat of the fruit of knowledge of good and evil. What is the danger to man if he disobeys his Creator and eats the forbidden fruit? When man knows good and evil he loses his most robust defense in his petition to God: ignorance. Man’s ignorance protects him from God’s indignation. One who is ignorant of good and evil is not fully accountable for his wrong actions, however, one that knows good and evil and chooses evil, is fully accountable for his actions. Man is faced with a righteously angry God when man’s misdeeds are executed KNOWINGLY. Genesis 3:4,5,6; And the serpent said unto the woman, “You will not surely die. For God knows that in the day you eat of it your eyes will be opened, and you will be like God, you will know good and evil. It does not flow from knowing good and evil that man will choose good over evil. God keeps the scales of ignorance over man’s eyes because He knows when the scales fall off some of His creations may choose evil. To be like God (in any respect) is not to be God. As it is often said, a little knowledge can be dangerous. Satan tempted man to know good and evil before man was ready for this kind of knowledge. Man would know good and evil but, in his incomplete and ignorant state, he would not always choose good over evil. Having acquired God-like knowledge, incomplete man (e.g. Homo erectus) would further violate God’s Law and seek a way to live forever. Extraordinary longevity was part of Satan’s enticement. i.e. You may or may not die. to prevent man from discovering eternal life in his unfinished good/evil form. If we could accept that evolution and Creation are not mutually exclusive, so much would become clear. Evolution is God’s Kiln, and man is still in the making. From our root ancestor through all subsequent hominids, we have a long history together in God’s Kiln. Most people who believe in God would agree that He needs us to know whether our own actions are good or evil, if only to stop ourselves from repeatedly performing evil acts. Therefore, knowledge of subjective good and evil cannot be ‘forbidden fruit’. Knowledge of the good or evil of others could be forbidden because of our propensity to judge. If we are not present when another carries out an act we cannot know (with certainty) whether the act is good or evil. However, were we to go back in Time and witness the act of another unfolding before our eyes, we would consider ourselves in a stronger position to know if the act were good or evil. It is that knowledge of the good and evil of another (that we would obtain by going back in time to ‘experience with our senses’ the act unfolding) that would be forbidden. Common knowledge is that which is known to the majority, such as the wheel, fire, and the forward progression of Time which most people take for granted, because thankfully, time travel is still in the hands of the few. To those that time travel or abandon our Earth, attempting to avoid death and seeking to prolong their lives in this present incomplete form will have stepped out of the natural cycle of life and death. Revelation 2:7 To him who overcomes, I will give the right to eat from the tree of life, which is in the paradise of God. To those that accept God’s Law of the natural pattern of evolving through the cycle of life and death and ‘overcome’ will evolve to the completed form physically and spiritually in Paradise-Heaven. They shall be able to ‘eat from the tree of life’ and will become Angels the guardians of our solar system and receive God’s promises. 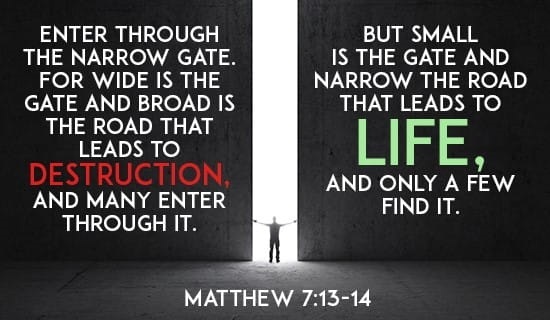 There is much talk about man’s freedom of choice, and you do have the freedom to choose between two roads, however only one road leads to a higher World and a higher stage of Life. Free will is only a wonderful gift if we make wise choices! Free will is a curse if we use it to our own ruination! End Time will come, and indeed we will make our own choices. And some will choose wisely and some will not. As ever, there will be those immovable brothers and sisters of the Light who embrace the End as the dawn of a new and blessed Era, and they will reap the promise of God: Heaven. We all pray that the immovable race will be great in number. We all pray that there will be an incredibly long line of saints marching in to the Morning Star! It is written that those who go with the aliens, will be as a wave, and who remain with their Mother will be as a single drop. It is also written that the aliens will have a rich harvest, and those who remain with their Mother will be, “as gleanings when harvest hath been finished.” God should not gather mere gleanings after the harvest, let us be a rich harvest to God! Who would willingly break their covenant with God? Who would willingly transgress God’s laws? Who, having taken all that the land has generously offered, would forsake the land? Who would run from their homes, even failing to lock the doors in their haste, leaving their fields untended, emptying the villages, and the cities? Who would willingly allow their fear to be exploited by aliens? Who would willingly be preyed upon and dealt with treacherously? Who would willingly be part of a harvest of blood and organs to those dark forces who need to replace their own stale blood and withered organs? Isaiah 24:5-6 And the land hath been defiled under its inhabitants, Because they have transgressed laws, They have changed a statute (Time), They have made void a covenant age-during (evolution). A curse hath consumed the land, and the inhabitants are become desolate, consumed are the inhabitants of the land, And few men remain. The End of the era will come, as it always has, and those brothers and sisters who run from their own completion will fail utterly in all they strove for since the beginning. They will run and try to hide in space, or in Time gone by, but they will fail because there is no spot within the Universe, which is concealed from God.